Rubber blanking mat fitted below grizzly as standard. The Terex Finlay J-960 is a compact and aggressive mobile jaw crusher incorporating a proven Terex direct drive single toggle jaw crusher which gives high capacity with large reduction capacities. The plant features a heavy duty hopper with integrated vibrating grizzly and pan feeder as standard. 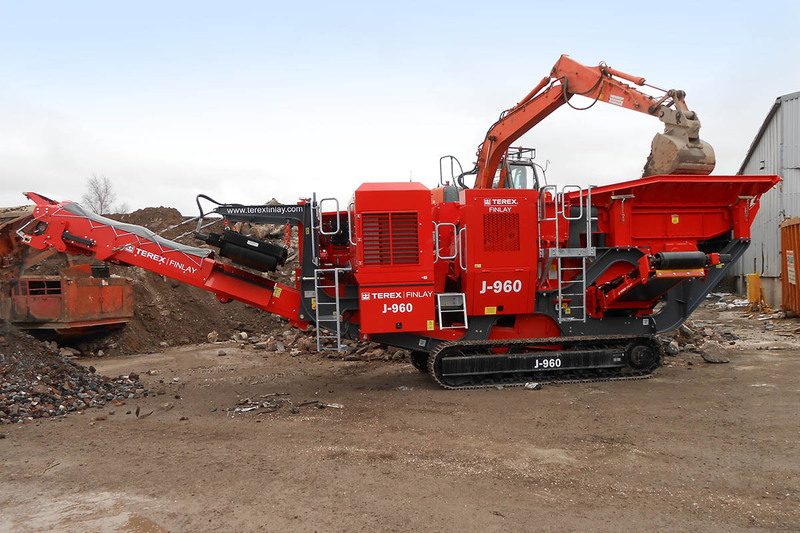 Its compact size, excellent mobility and high crushing capacity even at tight settings in recycling and hard rock operations make the J-960 ideal for small to medium sized operators.